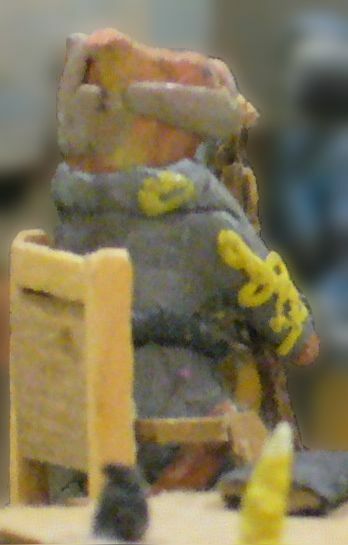 Located in the historic Homestead in Gettysburg, Pennsylvania, Civil War Tails is a unique museum featuring hand-made miniature soldiers in dioramas of Civil War scenes. This video will tell you a little bit more about what’s behind our museum. We thank Jill Ercolino, Kaylin Kirk, and Penn State University’s Keystone Multimedia Workshop for creating this video. You can also learn what we’re all about at Civil War Tails by listening to Episode 29 of Jim Eltringham’s “Crummy Little Podcast.” Jim’s conversation with Rebecca covers everything from how we start a diorama to how we aim to help our visitors relate to and see history through details on the dioramas and individual stories of the people our figures represent. We are twin sisters originally from the Philadelphia area. Gettysburg is Rebecca’s favorite battlefield (check out Ruth’s favorite battlefield at Cedar Creek, Virginia, in the Shenandoah Valley). Rebecca has wanted to live in Gettysburg for a long time. She got her wish in 2013, when just before the 150th Anniversary of the battle, she bought the Homestead (with the help of our parents—thanks, Mom and Dad! You’re the BEST!). Ruth joined her later in 2013, and together we began the wild ride to bring you Civil War Tails at the Homestead Diorama Museum, LLC. The original Gen. Grant – 20 years old! Our interest in the Civil War began when we were 11 years old and Rebecca read two biographies: one on General Robert E. Lee, and the other on General Ulysses S. Grant. We have been making things out of modeling clay since before we can remember, and we grew up with cats, so the two loves merged into clay cats in uniform with beards. We began to make soldiers for them to command, kept reading, and before very long had hundreds of cats in uniform but nothing to do with them! After some time, as we continued to read, we began to set them up in dioramas showing scenes from the Civil War. Over the years, our dioramas (and our cats) have improved. Cats are easier to make out of clay than humans, so we never made the transition, and now we like the quirkiness of having cats for our soldiers. After all, history doesn’t have to be boring. Other than the big noses and the tails, we strive for accuracy in our dioramas so that each scene is a pretty good shot at what the reality could have looked like. 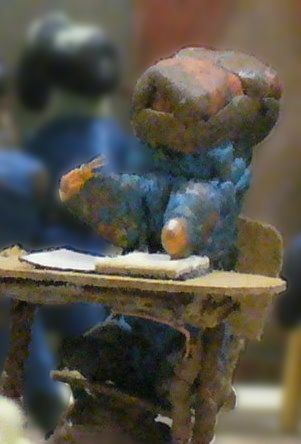 Some dioramas contain more detail than others in things like the uniforms, but every one is made on a one-to-one ratio with to-scale cats. Each cat represents one soldier, not ten or twenty. This museum is our childhood dream come true. We were homeschooled, and during high school, we taught lessons on the Civil War to other homeschooled students. By then, our dioramas were getting larger and more involved, so we used them as visual aids. It was so much fun to share the history with the kids, we dreamed of someday opening our dioramas to the public. We thought it was just dreams. Well, take it from us – dreams can come true! We can’t wait to share our dioramas with you.